PARLIAMENT- The Speaker of Parliament, Rebecca Kadaga has asked Government to lift the ban on recruitment of health workers and physicians, saying this affects health facilities with shortage of health workers. 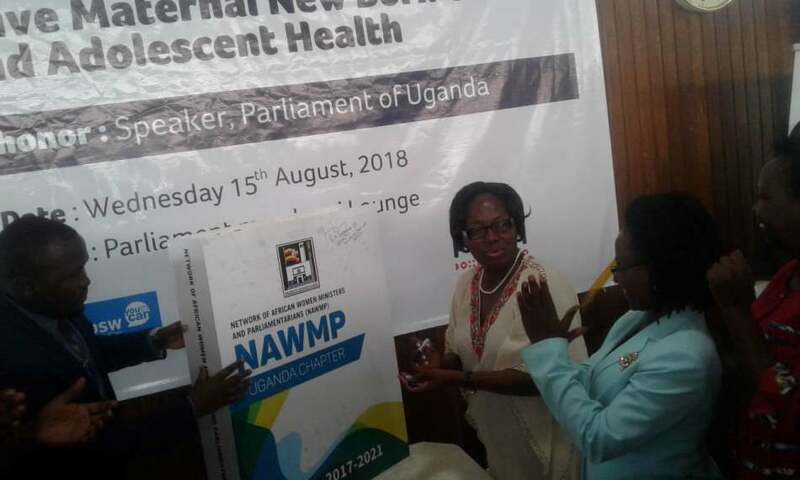 Speaking at the launch of the strategic plan for Reproductive Maternal New born child and Adolescent Health by the Network of African Women Ministries and Parliamentarians (NAWMP) at Parliament on Wednesday, Kadaga said that govt should endeavor to revise health worker recruitment. It should be recalled that in 2012, government stopped the recruitment of staff on all Ministries on grounds that the country had no resources to take on new staff. Kadaga contended that the prolonged ban need to be revised basing on the new changes in the country like the growth in population that has since reached 40m people, yet this isn’t in commensurate with the number of health workers to look after the country. “We still have a shortage of medical personnel and there is still a ban on the recruitment of health workers in the health sector which has been on for long. Who will treat these Ugandans? It is meaningless for us to have inadequate staffing,” argued Kadaga. The Speaker’s remarks come at a time when the report by the Parliamentary Health Committee on the 2018/2019 Ministerial Policy statement and budget estimates for the Ministry of Health highlighted that Uganda’s Health sector continues to suffer from inadequate health personnel at various levels of health service delivery with the national average at 73% as at June 2017. The report pointed out that the biggest problem in staffing gap lies in Health Center II whose level stands at 53% and at general hospital level with an average of 68% and the same challenge is faced at Uganda Cancer and Heart Institutes whose human resource gaps stand at 54% and 62% respectively. According to the report, the current staffing norms require a total of 392 personnel (senior consults and Senior Medical Officers Special Grade). While analysing the recruitment plans for FY2018/2018, the committee revealed that most of the positions aligned for filling relate to non-medical cadres and lower level cadres yet there is a huge staffing gap at medical specialists and consultant levels especially in Regional referral hospitals across the country. The Committee warned that failure by government to prioritise recruitment of critical staff will hinder health service delivery across all health levels and affect the Ministry’s attainment of the health sector planned outcome targets. During the launch, Kadaga also expressed reservations with the government plan to scrap off health centre IIs arguing that she does not support that. “I disagreed with the Ministry of Health on issues of accessibility of health services becausethere is no way government can assume that every Ugandan is within the radius of 5 kilometers to the health facility,” she said. “Now women are required to go for antenatal checkup 8 times but they end up giving up and choose only to attend once due to the long distance involved in accessing the health facilities,” added Kadaga. NAWMP Chairperson, Uganda Chapter, Spellanza Baguma Muhenda empahised said they need to recruit more health workers to reduce the burden on the health workers in the country. “The health workers are overburdened and this has led to inefficiency at work which has caused patients to be abandoned the health centres; as NAWMP, our role is going to advocate for the removal of the ban for recruitment and we shall go down to the lower administrative units to rally them advocate for the same,” Baguma said.